Oh man. This one was creepy as hell and in the best possible way. 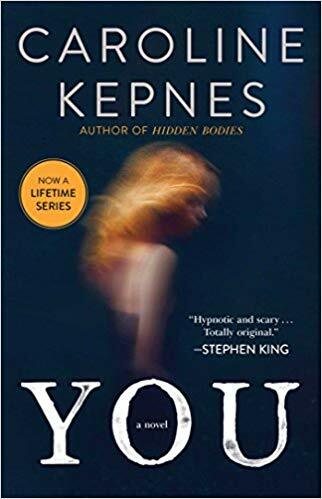 When Stephen King calls it “hypnotic and scary” you know you’ve got something that is beyond creepy. Joe works in a bookstore in New York city when she comes in, Beck. He googles her name, finds out where she lives, what she tweets, where she hangs out. And then he’s hooked. A chance meeting where he saves her from an oncoming subway train and she’s hooked too. But she has no idea what she’s getting into. He will stop at nothing to be with her. Literally. He will kill for her. I could not put this one down, I read it in one weekend. I was so drawn in with watching Joe lovingly obsess over Beck, yet behind her back terrifyingly obsess over her. 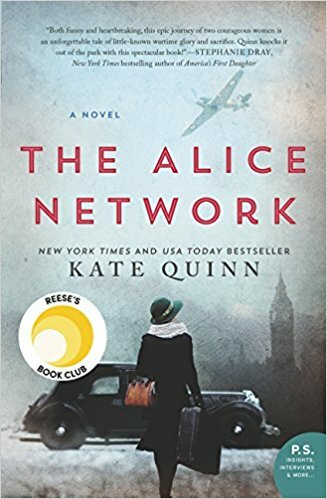 This one takes place just after World War II and flashes back to World War I. It’s about women who were spies against the Germans during World War I. It’s based upon a real network of women who served as spies back then. I didn’t realize that was a thing back then. During the World War II timeline, Charlie—an American woman—is trying to locate her missing cousin in France. She learns that Brit Eve Gardiner can help her. Charlie meets Eve and finds that she’s an alcoholic curmudgeon, Eve agrees to help her. During the World War I timeline we learn that Eve was a spy in France trying to escape detection from the Germans occupying her town. She goes deep undercover to share secrets about the Germans to allied contacts. Over the course of the story Charlie is struggling with learning the truth about what happened with her cousin, while Eve is telling Charlie the truth about her history during the first war. What I liked about this book was that I learned something new about how women were spies during the first World War. I loved following Eve’s story during that war and what she went through to avoid detection and what happened to her when she was caught. Overall these were two fascinating reads, I hope you’ll enjoy them as much as I did.